Chinese manufacturer Chery, which uses the Exeed brand to sell its cars in Europe, came out yesterday with a brand-new all-electric concept named the E-IUV. The vehicle is a pure design study that aspires to transmit an idea of the brand’s core values: attention to detail, intelligence, and inner energy. 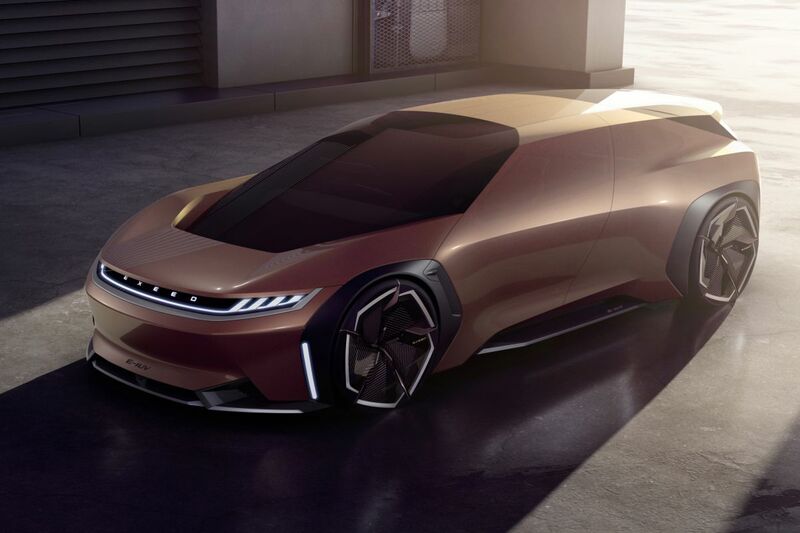 The Exeed E-IUV sports a bronze paintjob and has asymmetric doors, edgy bodywork, and side windows made of an innovative material rather than glass. The car packs air suspension, front passenger’s seat that can turn 180 degrees to face the rear seat bank, and a sensor-based control panel based on holographic projection. According to the company, the show car boasts “original nature elements”, but it remains to be seen just what that means in practical terms. The Exeed brand began with an SUV called TX, which shipped with a 1.6-liter gasoline engine rated at nearly 200 hp (149 kW).